There's graffiti everywhere you look; chipped plaster on the walls; chairs and banquettes covered in shiny plastic; and non-essential wiring exposed against bare brick. If you're wondering what the born-again Dolphin Hotel will look like when it's finished, you can stop wondering. It's finished. And it's gorgeous, in a crazy, anything goes, pool-playing, pizza-eating, sangiovese-sniffing house party kind of way. Now less pub and more interactive art installation with food and wine attached, it's a joint effort from Icebergs Dining Room & Bar and the nearby Hotel Harry. Working with Iceberg's Maurice Terzini, Sydney architect George Livissianis has channelled Keith Haring and Christo, collaborating with artists Beni Single and Tracy Deep, and finding new uses for rope, calico, strategic lighting, and lots and lots of whitewash. Four dramatic and distinct areas have been created – a bar, a dedicated wine room, an upstairs lounge, and a lively dining room with its open kitchen and wood-fired pizza oven taking centre stage on a raised platform overlooking the room. Icebergs' chef Monty Koludrovic and head chef Dan Medcalf have welded together a sort-of Italian, sort-of Baby Boomer menu that runs from Sao crackers with anchovy and pickled onions ($12 for four) to crisp, thin Roman-style pizza. The pizza chef knows what he's doing and a classic, nicely intense, cheese-free, pizza marinara balances its tomato, anchovy, capers, olives and oregano ($18), while staying crisp to the end. 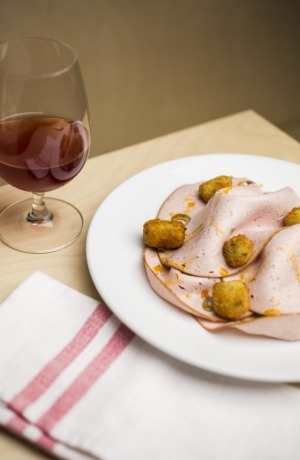 From the dedicated salumi cabinet, LP's Quality Meats deliver a classic, well-made mortadella ($18) scattered with crisp little fritti of mashed potato and green olive for contrast. Spaghetti with blue swimmer crab ($26) sees a heady, smoky, crab-flecked tomato sauce nicely fused with judiciously cooked pasta; the grated cured bottarga (mullet roe) adding savoury, umami character. So simple, so good. I can't remember when I last saw chicken cacciatore on a menu – Carlton? 1988? – but this "hunter's stew" ($32 half, $56 whole) is neither hunted nor stew. A big, muscly slow-roasted Holmbrae chook is jointed and served in a pool of juices with button mushrooms and wilted greens; great for sharing. Slow-roasted pork belly ($32) is a straight-up main course, firm of flesh and crisp of crackling. 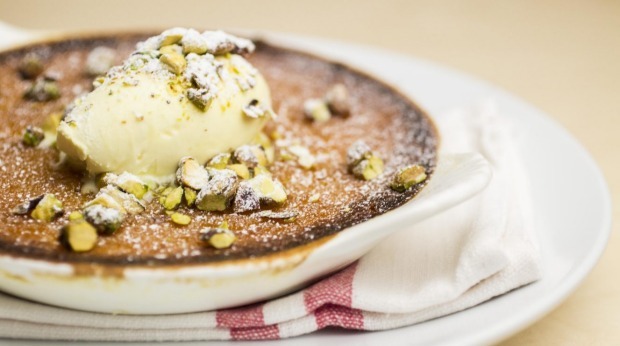 Wood-fired lemon pudding riffs on Aunty Daph's lemon delicious with its gooey, lemony pud beneath a crisp brulee crust. 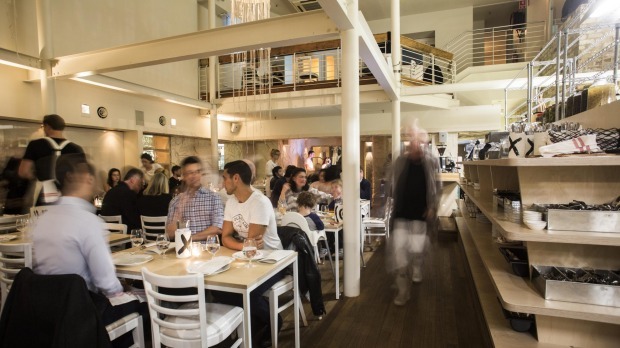 Terzini, for whom it is not too early to apply the term visionary, has done that thing – that Harry's Bar of Venice thing – where getting through to the bar or a table is a bit awkward and you have to brush by people, and knock elbows and engage with your fellow human beings. Which means in spite of the active-wear crowd, the natural wines and the top-dollar local produce, it's still, thank the lord, a pub. 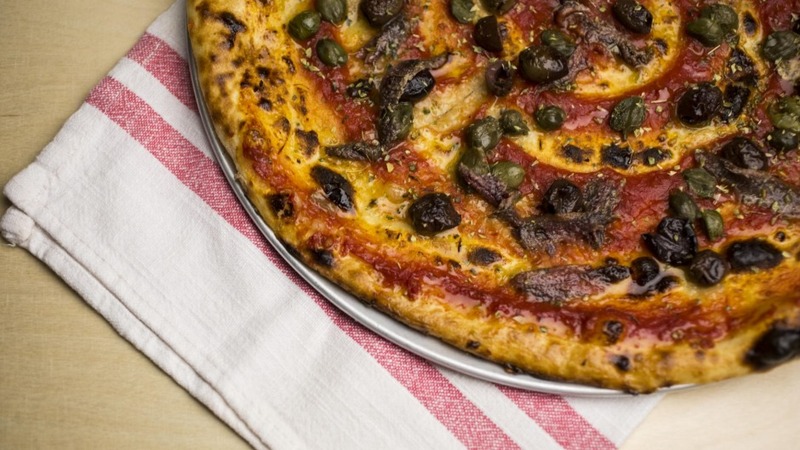 Go-to Dish: Pizza marinara with tomato, anchovy, capers, olives, oregano, $18.